Clairaut's differential equation has the form . 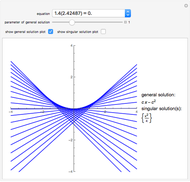 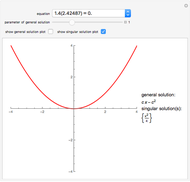 Its general solution is a one-parameter family of straight lines . 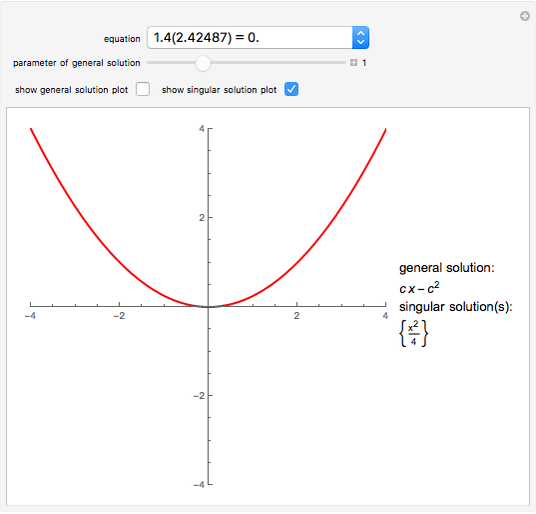 The singular solution is obtained by eliminating the parameter from the equations and . Izidor Hafner "Clairaut's Differential Equation"